future from the forecast issuance time. 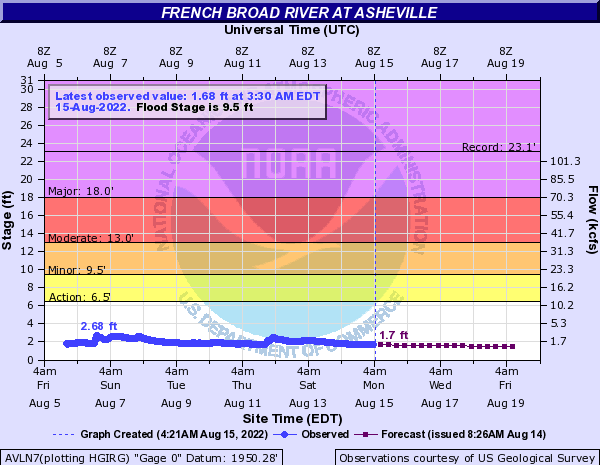 NOTE: Forecasts for the French Broad River at Asheville are issued routinely year-round. 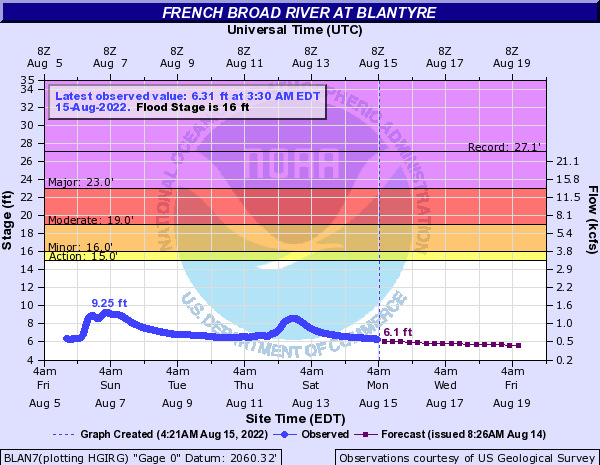 NOTE: Forecasts for the French Broad River at Blantyre are issued routinely year-round. 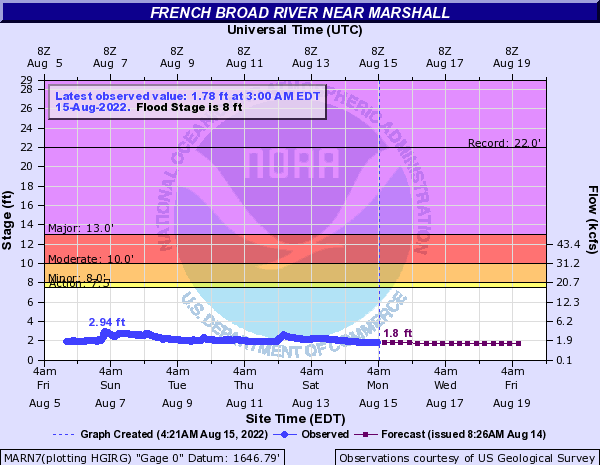 NOTE: Forecasts for the French Broad River at Marshall are issued routinely year-round. Content on this page should be used for educational purposes only; always consult the National Weather Service before making any weather-related decisions. Black Mountain Storm Spotter is not responsible for any liability or legal recourse as a result of data displayed here. 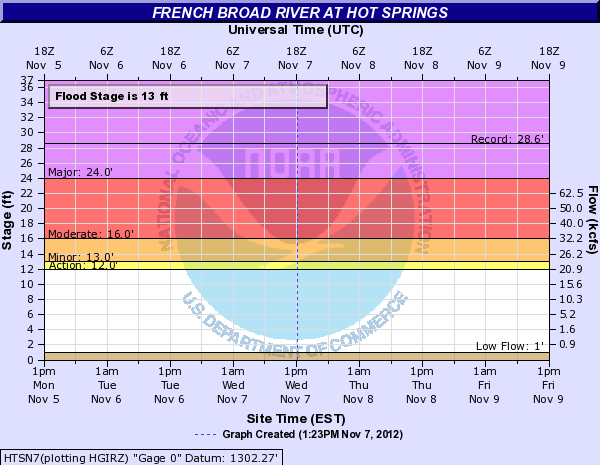 NOTE: Forecasts for the French Broad River at Hot Springs are issued routinely year-round. 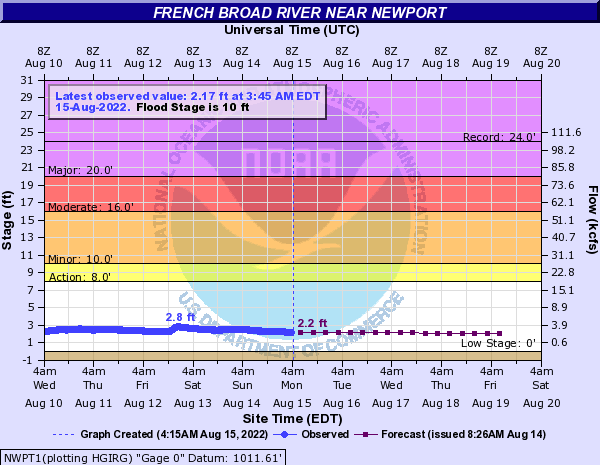 NOTE: Forecasts for the French Broad River at Newport are issued routinely year-round. 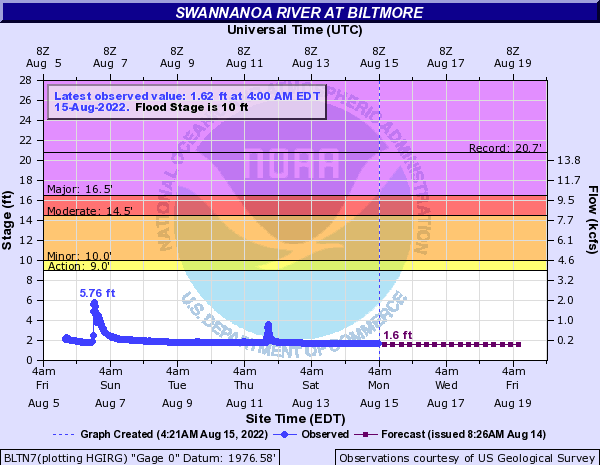 NOTE: Forecasts for the Swannanoa River at Asheville (Biltmore) are issued routinely year-round. 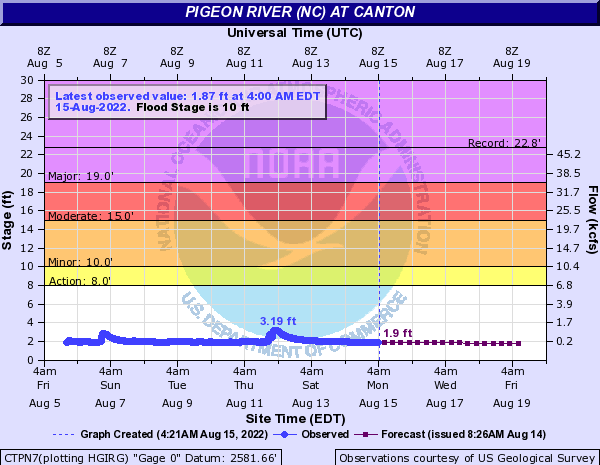 NOTE: Forecasts for the Pigeon River at Canton are issued routinely year-round. 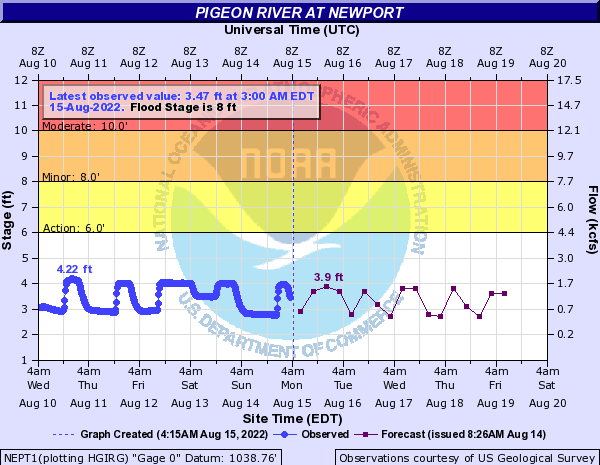 NOTE: Forecasts for the Pigeon River at Newport are issued routinely year-round. 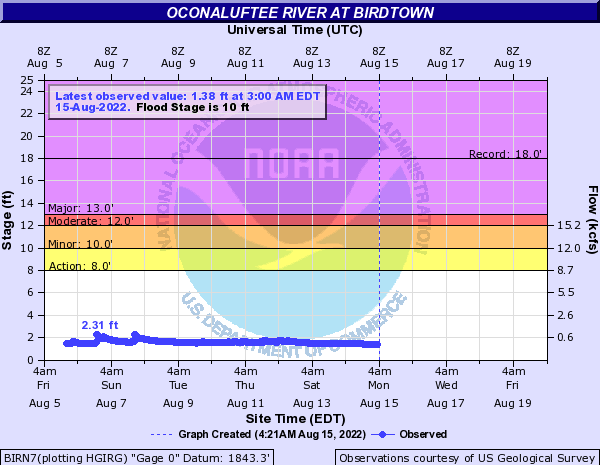 Forecasts for the Oconaluftee River at Birdtown are issued as needed during times of high water, but are not routinely available. 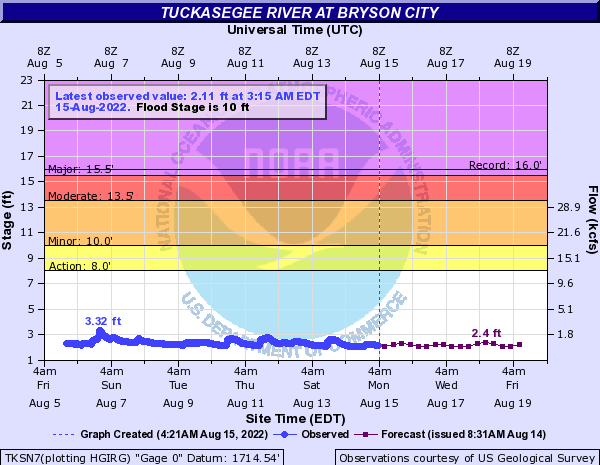 NOTE: Forecasts are observations only.